This item is shipped from the USA. Items are usually shipped within 24 hours. Your order may be dispatched in multiple shipments. Looking for comfortable men's pouch underwear that will enhance your bulge? Then the Ergowear MAX Premium Boxer Brief in Heather could be for you. Its Ergowear's most ergonomic pouch to give your manhood a boost, in premium stretch cotton that looks great and feels great. The enhancing underwear MAX collection from Ergowear has the largest selection of styles and materials of any Ergowear collection. As usual you get a selection of briefs, bikinis, boxers, mini boxers, jockstraps and men’s thongs. But in the MAX collection you get even more variety with the MAX Modal, MAX XV, Max Mesh, MAX Premium, MAX Light and MAX Suave. Each variety has a different material mix but the overall design structure is the same. The MAX Collection features the original three-dimensional pouch design with a centre seam. The pouch is designed to lift your manhood up and away from your legs for a comfortable and naturally enhancing effect. Each style within the MAX collection features a 40mm Ergowear branded waistband that gives an athletic style to the collection. The MAX Premium Boxer Brief in Heather is made from a 90% Cotton / 10% Elastane mix material that is super soft and stretchy. The cut on the MAX Premium Boxer in Heather has a low profile with a low-rise waist and a mid-cut on the legs that sits mid way on the thighs. 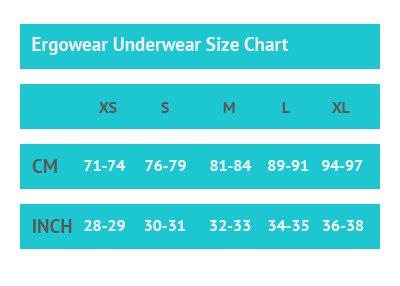 It gives full coverage and support and a level of comfort that makes it great for running and sports as it separates your manhood from your legs and is amazingly comfortable as it naturally enhances your bulge.